SAN JOSE, Calif. (KTVU) – Onlookers in San Jose watched as a five-story building was erected before their eyes this week. 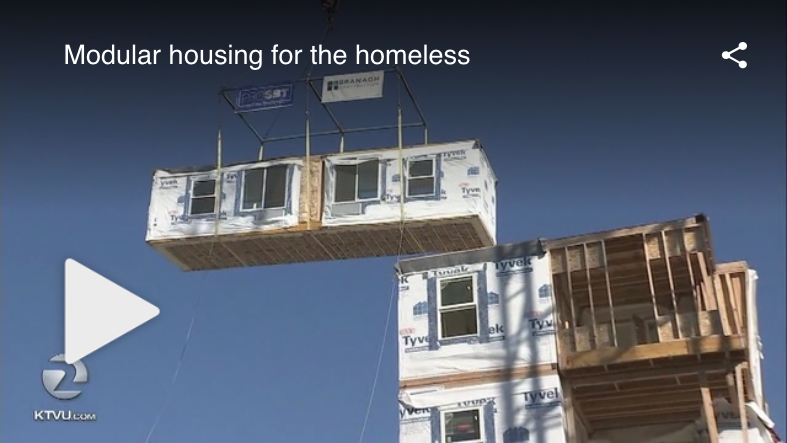 The building, made out of modular units, will eventually house the homeless. The developer was looking for a way to shave time off construction, to get help to people more quickly. The 30,000-pound modular housing units are constructed in Boise, shipped here, then stacked on top of each other. The end result: a five story apartment building for the homeless, constructed in a matter of days.